Courtney Connley is a graduate of The University of Maryland, College Park. Her story is one of courage and aspiring to achieve your true dreams no matter the cost. She serves as the career editor for Black Enterprise Magazine and has contributed to a host of other publications including NBC Washington, Global Grind, and Cosmopolitan among others. Her work writing about careers, millennial trends, and entrepreneurship has placed her in a position to encourage and educate her peers on the importance of making smart career and financial decisions in their lives. Take a look below at the 5 Things Courtney knows for sure! 1. Faith will never fail me- This I know for sure because had it not been for my faith I would have thrown in the towel a long time ago on my journey to success. It was my faith that got me through hard times when I got fired from my first industry job, and it was my faith that allowed me to hold on to a thread of hope when all signs seemed to be leading to a dead end. While many may not understand the concept of believing in something you cannot see, it’s the dreamers and believers who understand that their purpose and mere existence is far beyond them and that it is only through faith that they will receive the full potential God has reserved for them. 2. Success is a marathon, not a race- These were the exact words that Essence Editor-in-Chief Vanessa DeLuca said at a ColorComm event as I sat in the audience contemplating about my career path. Was I making the right decision? Was I working hard enough? Was I connecting with the right people? Should I be doing more? Those are the questions I ask myself every time I buy into the unhealthy game of comparing my journey to someone else. While gleaning inspiration from another person’s success is good, I’ve learned that it’s important to know that no one’s journey is the same and that every success story has a book filled with an intro and chapters that were not written overnight. 3. Happiness comes from staying true to yourself- While work may sometimes compel me to be a mean girl, love may tempt me to give myself to those who are undeserving and life may lead me to react out of character to disloyal friends and family, I’ve learned that staying true to my morals and self-worth will always pay off. There have been times where I’ve felt pressured to compromise who I was in order to please someone else or to gain recognition, but what I’ve realized is that any situation that forces me to compromise who I am will only lead to momentary satisfaction followed by an extended period of confusion and sometimes even self-doubt. 5. God’s timing is perfect timing- No matter how much I’ve planned in my head where I should be by a certain age, God has shown me that I’m right where I’m supposed to be and he’s proven that he wouldn’t grant me certain desires and wishes without fulfilling them when the time is right. So when it comes to love, career, finances, etc., I’m learning to have faith in his timing because not once has it not been perfect. 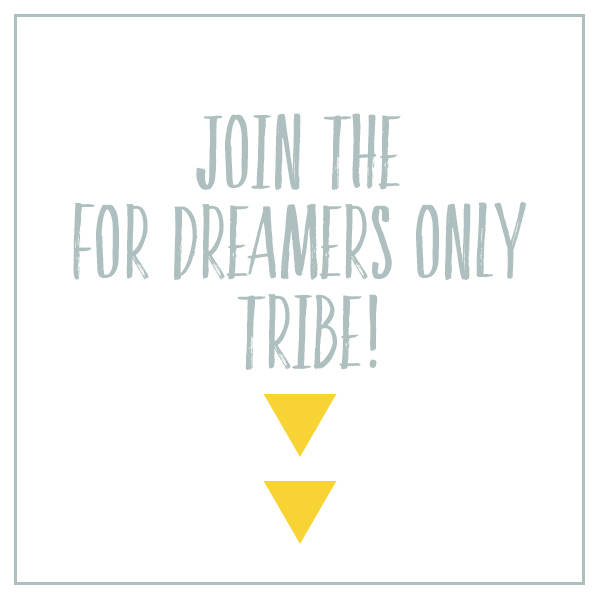 Join the Tribe of Dreamers!